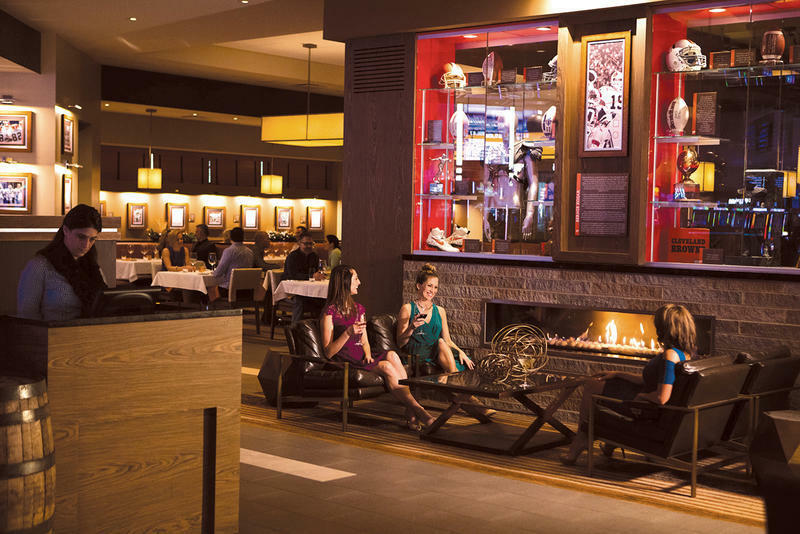 Satisfy your senses in the casual elegance of Kosar’s Wood-Fired Grill. Take in all the sights as you're surrounded by authentic memorabilia from Cleveland’s favorite number 19, Bernie Kosar. Smell the aroma of our wood-fired grill uniquely preparing your choice steaks, chops, and fresh seafood. Hang out in the Bar and experience some premium specialty drinks, a selection from our extensive wine list, or a nice cold beer while you watch the game. And, of course, your taste buds will be assured guaranteed win! Bernie! Bernie! !